For thousands of riders every year, their ride ends up with a trip to the emergency room. 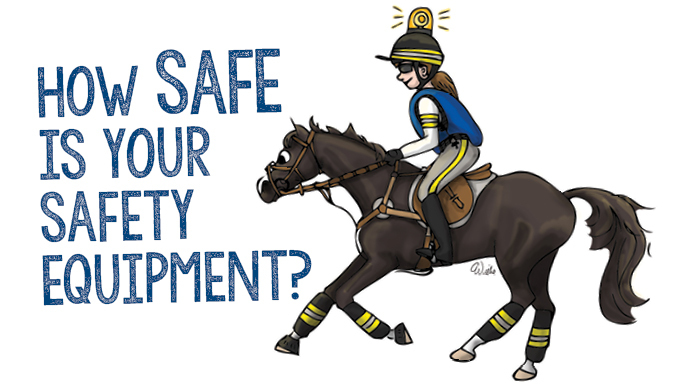 We look at helmets, safety vests and stirrups – how they protect, and how effective they are. We never plan to get injured when we saddle up our horses. Yet for thousands of riders every year, their ride ends up with a trip to the emergency room. Kenda Lubeck, Farm Safety Coordinator for Alberta Agriculture and Forestry, and a former eventer who now focuses on dressage, says to make riding safer, no matter what discipline you ride, we should first be looking at safe environments and appropriate training for both horse and rider. Personal protective equipment – helmets, body protectors, and so on – are really the final step on the list of safety precautions, says Lubeck. Regardless, we all want to be sure we’re investing in the safest safety equipment. Which helmet is the safest? That’s not a question with a clear answer. Jenny Beverage of Troxel Helmets explains: “Tell me all the parameters of your fall and impact, and I’ll target a helmet for you.” In other words, if you could predict exactly how you’d fall – the speed, the distance, the part of your head that would hit the ground first, and the surface you’d land on – you could create the perfect helmet. But with so many unpredictable factors involved, helmets are designed to provide a broad range of protection. The EMSA is slightly more positive, based on their review of research: “A body protector is mainly useful to prevent minor penetrating injuries [such as kicks], bruises, abrasions, possibly some rib fractures and probably some shoulder injuries.” They can’t protect against spinal injuries, internal injuries, or injuries to the lower abdomen, which is not covered. We all know about the benefits of air bags in cars: air vests operate on the same principle. The vest shields the chest, thoracolumbar spine and upper abdomen, offering some protection against fractured ribs and damage to underlying organs, including the liver and spleen. Manufacturers claim added support and reduced ‘shear’ forces to the thoracolumbar spine. Note, however, that air vests can only be worn over body protectors in competition. While body protectors have been in use for many years, air vests only became popular around 2010. British rider Oliver Townend was wearing an air vest in 2010 when his horse fell on top of him at the Rolex Kentucky Three-Day Event. Townend survived the horrendous crash and credited his inflatable vest with minimizing his injuries. Air vests (Hit-Air, Point Two, Helite) are currently not certified, except for the EquiAirbag which is only sold in Europe. The EMSA notes that currently any research on air vests is manufacturer-sponsored and not independent. The scientifically unproven assumption that they provide added protection and their endorsement by famous names in the sport have added to their appeal. The Medical Equestrian Association (MEI) in the UK warns that when riders and horses somersault together, the rider may not leave the saddle sufficiently to activate the air vest until it is too late. Other downsides to the vests include that they are expensive; sharp objects may puncture them; they are bulky when worn over body protectors; the gas canisters must be replaced after deployment; and accidental deployment is common and the explosive sound may spook the horse. Riders wear boots with heels to prevent their feet from sliding through the stirrup and being trapped in a fall. As Lubeck points out, if the stirrup is too large or too small the rider still runs the risk of getting a foot stuck and being dragged or kicked by the horse. 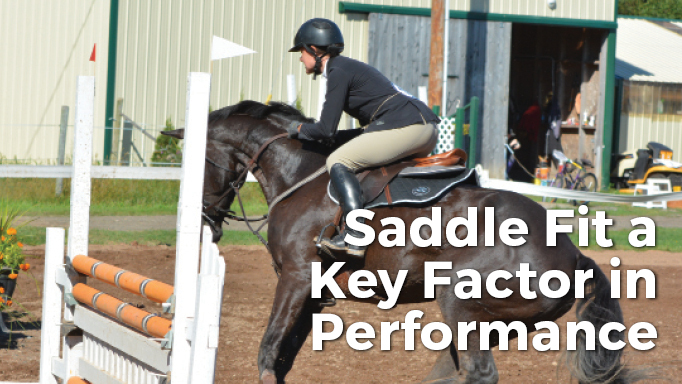 Safety stirrups are designed to release the rider’s foot in these situations. There are three main types of safety stirrup. The Peacock Fillis brand features a heavy rubber band that makes up one arm of the stirrup that will break away during a fall. Other styles are solid but one side of the stirrup is curved, so that the foot can slip out sideways. A newer style has a second inner arch in the stirrup and this will separate from the top of the stirrup during a fall, releasing the rider’s foot. Lubeck notes that none of these are perfect: sometimes the rubber band, for example, will break away during a challenging riding maneuver – and that in itself can cause a fall. They do go a long way to reduce the risk of being dragged, however. 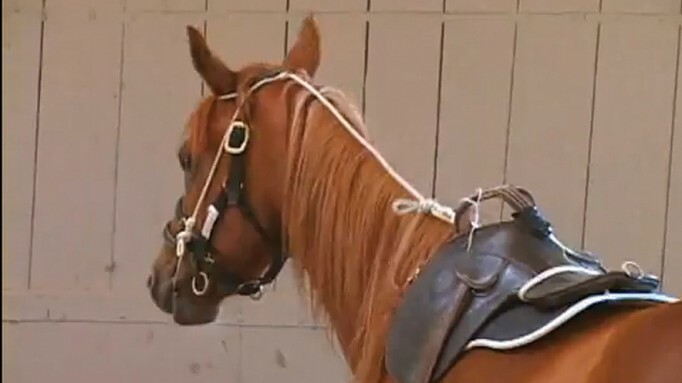 Other safety accessories include extra-long reins which allow the rider to tie one or two safety knots; rubber reins; reins with stoppers; super-grippy gloves (some riders prefer cotton because wet leather-on-leather can be slippery); shatter-proof sunglasses to protect the eyes from UV rays and tree branches; the list goes on. Ultimately, “The safest piece of safety equipment is the one you will wear every single time you are working with your horse,” reminds Lubeck. Thanks to testing agencies and ongoing research, riders can count on certified helmets and body protectors meeting rigorous standards. Beyond that, you want to find equipment that will meet your needs for fit, comfort, and style. In 2014, 30-year-old Canadian eventer Jordan McDonald and his horse had a rotational fall at a cross-country fence in England while wearing a popular body protector brand which was not ASTM-certified. He suffered fatal chest injuries, including multiple broken ribs. At the inquest into his death, there were recommendations that the wearing of approved body protectors be made mandatory. McDonald’s wife, Shandiss, told reporters that her husband had no idea that the vest he used was not approved, but medical expert Michael Whitlock summarized that even a BETA Level 3 body protector would likely not have protected him from such a severe crush injury – a finding to which assistant coroner Tim Hayden concurred at the conclusion of the inquest. Sometimes your best safety equipment can be your own body. It is a natural reaction for riders to land with arms outstretched to break their fall, so not surprisingly, upper limb and collarbone injuries are the most common cause for riders needing hospital treatment. Smart coaches are increasingly instructing their students how to fall, or “tuck and roll,” as part of basic safety training. Cross your arms in front of your chest, tuck your head down and bring your knees up in front of your body to form a ball. 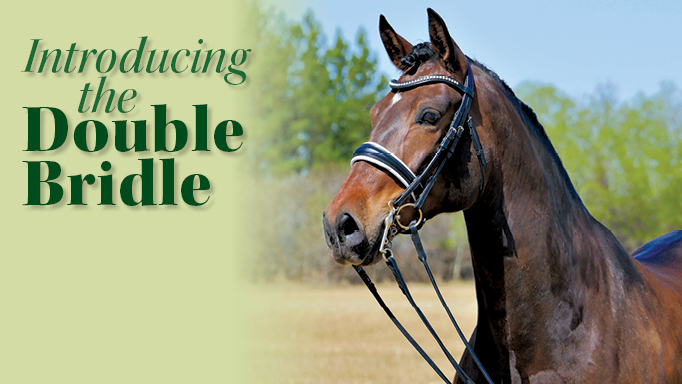 Roll away perpendicular to the direction your horse is moving to decrease the chance of being crushed or trampled. This takes practice to become automatic (and be sure to practise while wearing your helmet and body protector). US eventer Jimmy Wofford wrote that he survived to be an Olympic athlete because he was taught these survival skills at age 10.